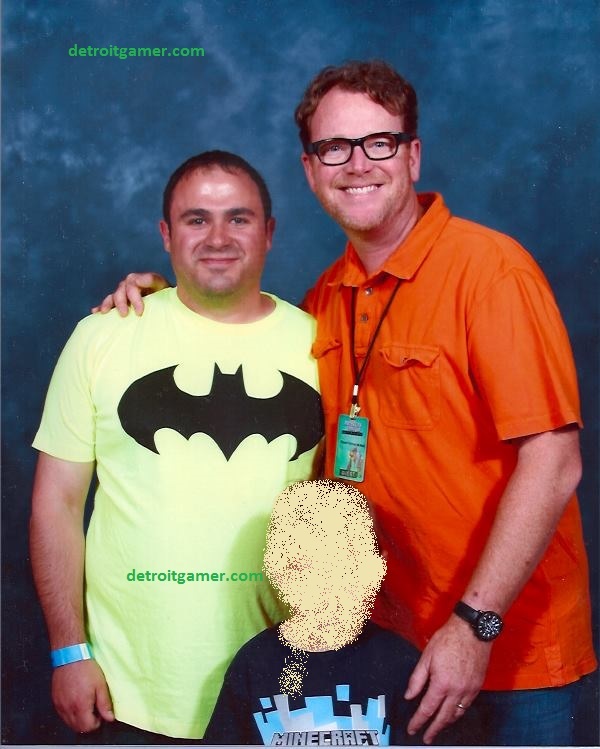 Motor City Comic Con 2013 | The Official Blog of The Detroit Gamer. 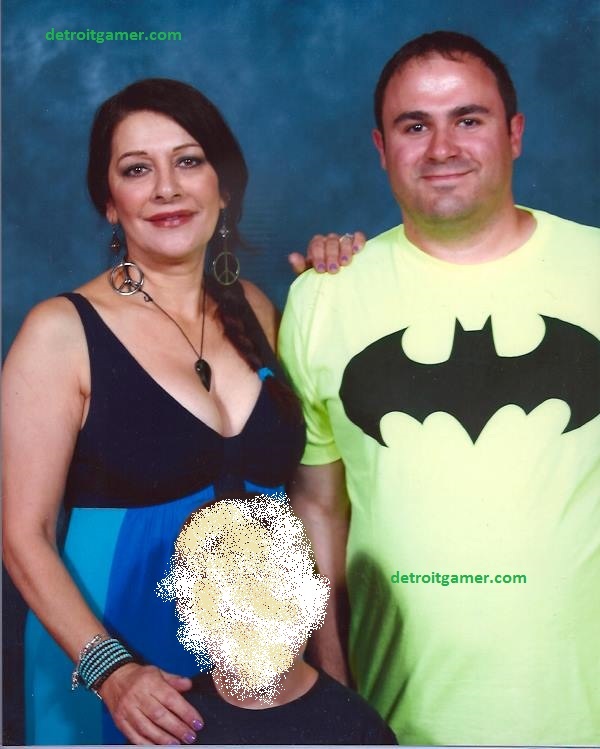 This was my first visit to Motor City Comic Con. Every year I want to go there is always something that prevents me from going. But not this year. This year I purchased advanced ticket to make sure I could go. I also decided to take my 6 year old son with me. I did not know what to expect since this was my first time here. I was very happy and also very disappointed with certain things. I’ll start with the negative items. First mistake I made was deciding to go on a Saturday. I had to wait an hour just to get into the parking lot. Once I finally got in the parking lot I was greeted with a 2 hour wait just to get in the door. So my thinking advanced tickets and arriving an hour early did no good at all. 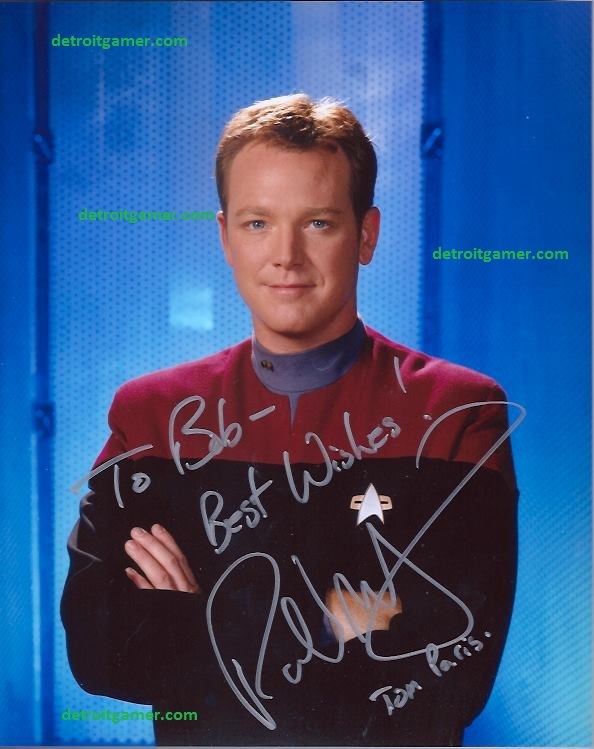 Once I got in I made it just in time to get my photo op with Marina Sirtis and Robert Duncan McNeill. I started first with Marina who was very comfortable and very kind to my son which really made me happy. Next I had a photo op with Robert and I have to say he was great, very friendly. He shook my hand and introduced himself to my son and was super kind to him. So after my photo op I decided to get some food since I had nothing to eat all day while I wait for the photos to be printed. Much to my surprise I was greeted with a super long line that I had to wait in for over an hour to get 2 slices of pizza, pretzel, and sprite. I regretted this since I was only at the con another hour since my son was getting tired. By the time I finished my food the con was packed so bad you could barely move. So I walked over to Robert and Marina to get autographs. Marina’s line was too long so I decided to skip it and go to Robert’s line that only had one person in line. I was greeted by a smiling Robert who forgot who we were (but I understand since he sees so many people). Once again he immediately started talking to my son and introduced himself as “Robbie” and asked my son for his name. He talked to him for a few minutes and asked him if he was thirsty, my son replied “Yes”. He handed my son a bottle of water and told him it was nice to meet him. He then looked to me and asked me who to write the autograph to. I told him my name after I paused for a few seconds since I was standing in front of one of my childhood heroes. He asked me if I forgot my name and chuckled. I said thank you for the autograph and walked away a very happy guy. The hero I grew up watching on TV turned out to be a really cool guy and was very nice to my son (which I later found out he has boys of his own). So after my mission was accomplished I walked over to the panel room and watched comic legend Stan Lee talk to the audience. After this my son was tired and wanted to get a Minecraft sword. After fighting crowds I was able to find one and then we both decided to end our adventure for the day. I had fun and made some great memories but I think I will go on a Sunday next year. *Not to be a jerk but I covered up my son’s face because I don’t want his photo out on the net. Thanks for understanding.